It was the Regulatory Reform Committee that produced only one nay vote and 13 ayes on HB 4311, the 2019 Lawful Internet Gaming Act sponsored by Michigan Rep. Brandt Iden. The bill now goes to the Ways and Means committee, which just so happens to be chaired by Rep. Iden. As of yet there is no timetable as to when the Ways and Means committee members might take a look and vote on HB 4311. But the issue certainly seems to be moving quickly. The committee vote came exactly one week after a hearing on the proposal that saw plenty of positive testimony from expert witnesses. Those witnesses included representatives from the top three Detroit casinos – MGM, Motor City, and Greektown – as well as from former Poker Players Alliance Executive Director John Pappas, who now toils as a consultant in the gaming industry. Joining the expert witnesses in providing a glowing recommendation on the online gambling proposal was Rep. Iden, who spoke of the need to protect Michigan citizens who are putting their money at risk by gambling at unregulated online poker and casino sites. Iden also pointed out that any fears that online gambling sites would cannibalize revenue already realized at land-based casinos and the Michigan Lottery are unfounded, as the typical online players are said to come from a different demographic than the older folks who buy Lotto tickets and visit casinos. 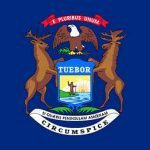 While HB 4311 is on the move in the House, a companion online gambling bill (SB 186) has also been introduced in the Michigan Senate. Sponsored by Sen. Curtis Hertel Jr., SB 186 has the identical title of 2019 Lawful Internet Gaming Act. Both bills have set fees for operators’ licenses at $200,000 the first year. Each year thereafter the fee gets reduced by 50% to $100,000. HB 4311 and SB 186 are also in line on the tax rate on gross gaming revenue at 8%. Many expect HB 4311 to sail through the House Ways and Means committee. The odds are also good that the Senate will act favorably on Sen. Hertel’s bill, SB 186. After all, almost identical proposals were approved in both legislative bodies in 2018 before then-Governor Rick Snyder pulled the plug and exercised his right to veto during his last few days in office. With Snyder out of the picture in 2019 and Governor Gretchen Whitmer at the controls, we may see a different result this year. Rep. Iden is on record as saying that the new governor has a more favorable view of gambling expansion than her predecessor did. It would certainly be disheartening if all of Rep. Iden’s work on online poker and gambling legislation went for naught again this year. It’s been two years since a state approved i-gaming regulation. 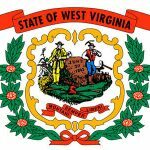 Pennsylvania was the last to do so in 2017 but has yet to get a regime up and running online due to the controversial DoJ opinion released earlier this year. Prior to that, there was a long dry spell of four years after Nevada, Delaware and New Jersey passed legislation and launched in 2013.